I’m posting my entry for the second challenge in Megan‘s Boring into Beautiful Photography Contest! The theme this time was Food. Megan — this is the photo I’m entering for BIBPC. As some of you know, I got smacked in the eye with a branch yesterday. I was hoping to develop a black eye from this unpleasant experience, but so far, my eyelid has only swollen up and begun to turn red. Youch! About your eye! I hope it gets to feeling better! :) Neat pics too! Me too. :) Thank you! Ok, cool, That sounds cool, thank you so much, Loren! I appreciate it!!!!!!! Bye! Oh, and I wanted to tell you that I also finished the Cloak of the light book! It wasn’t really about whatever I told you it was about…it was about a guy named Drew, who discovers a new realm of the world, and he thinks it’s a realm of aliens, but it’s not! That’s more of what it’s about!!!!! But, ya, I would love your recommendation on good books! Thanks in advance!!!! Hmmm…cool! It’s really good! So is the Kingdom Series, by Chuck Black!!!!!!! Hey there! I’m doing a coloring contest with Megan at this link: https://ourcolorfulideas.wordpress.com/2016/01/26/suprise-by-megan-and-k-a/ We need more people for team Warbler and Team Mustang! If you wanted to look at it, I would really appreciate it! Thanks! You don’t have to if you don’t want to though! Whoa! At first glance, I just thought the first picture was a stock photo – wonderful job, Loren! It looks so yummy and beautiful! And about your eye – what a disappointment! XD That note was really funny. Seriously?! Thank you so much! So, are you gonna call your blog Blue eyes, grey eyes, and red eyes? It’s so catchy! I’m sure that EVERYONE will be able to remeber it! Hey… you know that photo you have for ‘meet the blogger’? Did you have to ask before you used it or not? Which one? The one that says “Meet the Blogger” or the drawing of the girl? Uh, the girl. 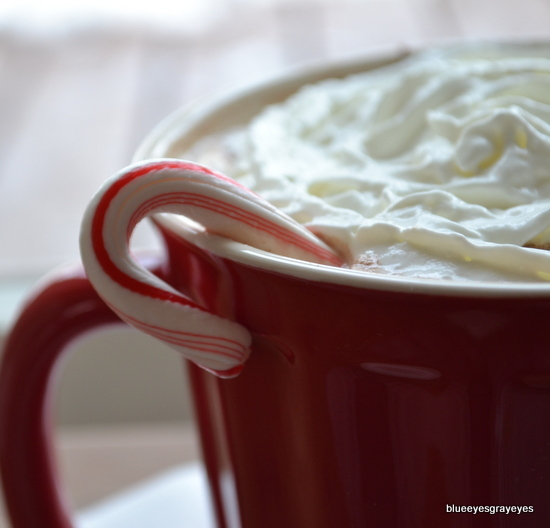 BTW I LOVEE peppermint in my hot chocolate. Sorry, I should have guessed that. *facepalm* No, I didn’t — whenever I use a photo that belongs to someone else, I just leave a link to their website below the image. Oooh, that’s beautiful…. It makes my mouth water, Yuuuum! Also, that picture is superb! You are truly amazing :). Thank you so much, Hayley! :D I’m glad you like it! Ooooohhh now my mouth is really watering. I LOVED the entry photo. How do you always focus your pictures so perfectly?? Haha, actually that’s not what I do. 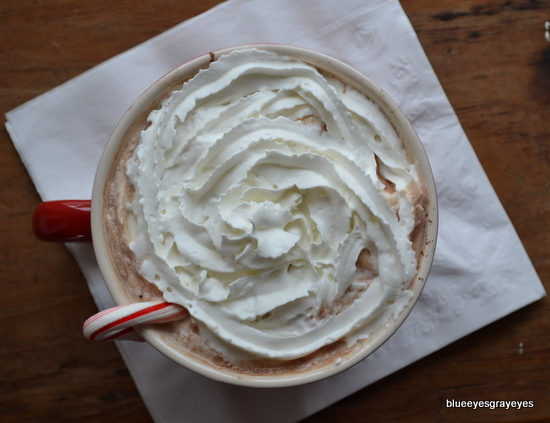 I put milk and coffee creamer into my hot chocolate. Not coffee creamer in my milk. But that does sound good. Ya, I know, but that’s what I do! Ooo that sounds like a lot of fun! I’ll go check it out! Thanks! A lot of my pictures don’t focus on the subject, and that’s why I take a LOT a photos. There’s almost always a sharp, focused picture somewhere in the batch. Okay, now every time I scroll through my reader, this pic is there! Really Loren?! :P Every time I see it, it’s like AGH! 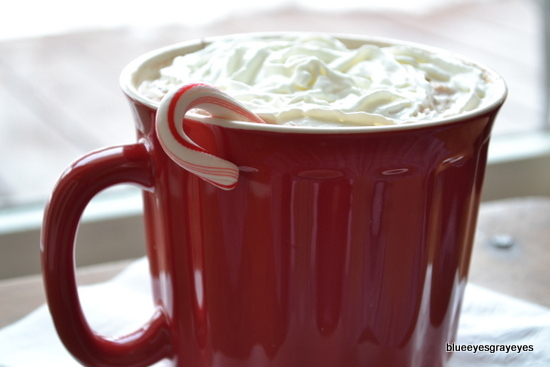 I HAVE to have hot chocolate!! 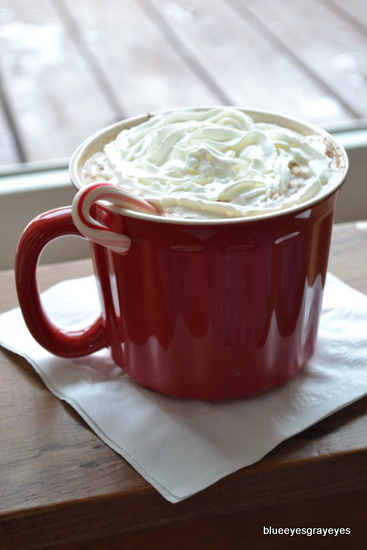 :P XD *Goes into the Kitchen to see how much hot chocolate is left* XD Now I really want hot chocolate! Thanks a lot! Just kidding!!!!!!!! I ran into a tree branch while I was playing in the snow with my brother. It hurt for a couple of days, but it’s mostly healed now. This looks soooo good! 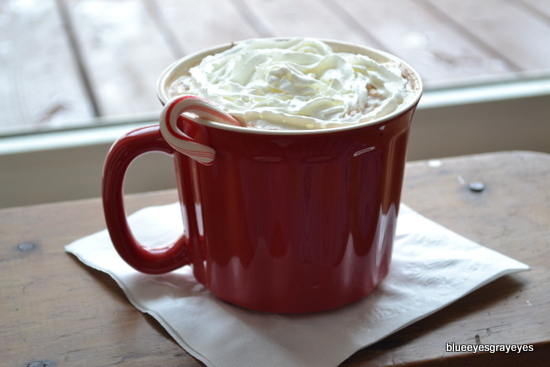 Mmm, now I really want hot cocoa :) Your blog is beautiful, and I really love the name. Not to mention your photography is fantastic! Thank you, Vivian! I’m glad you like the name — it took a long time to come up with. btw, I took a look at your blog, and I think it’s fantastic! I seriously love your blog’s button. Wow, that first picture is absolutely amazing! You did a fantastic job!